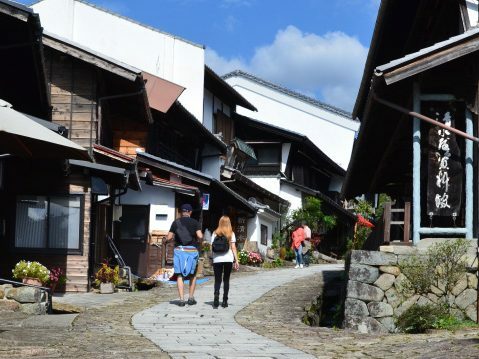 Shirakawago is the village with beautiful scenery that is reminiscent of olden times. The village contains 114 thatched roofed gassho style houses and was designated as a UNESCO World Cultural Heritage Site in 1995, as the houses are still used in real life. They are called gassho style houses because the steep triangular roof, unique to the heavy snowfall area, resembles "gassho" (hands meeting in prayer). 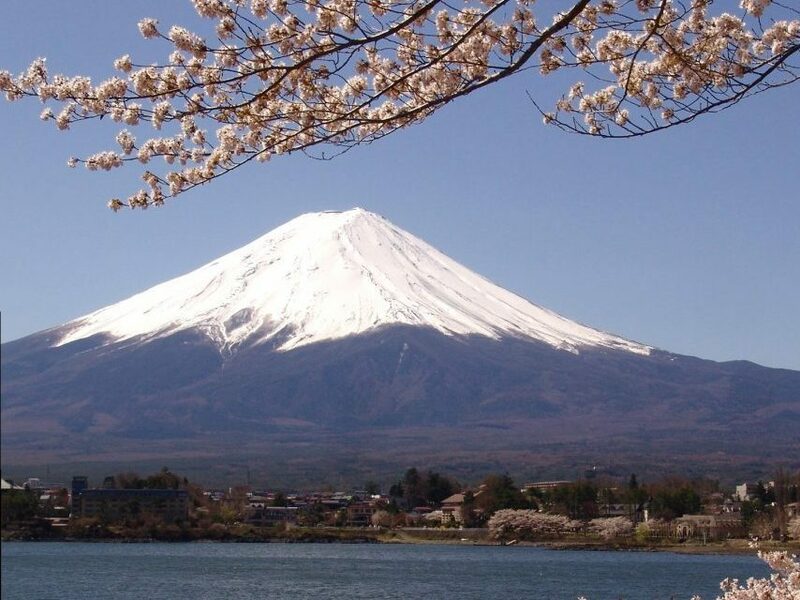 Throughout the year the highly picturesque landscape, as the representative tourist spot of Japan, attracts many tourists from Japan and abroad. 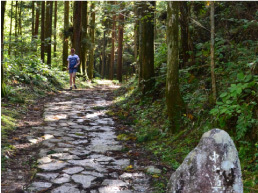 It takes about 50 minutes by bus from Takayama Nohi Bus Center to Shirakawago. Take comfortable and accessible Nohi Bus. There are 16 round-trip bus services a day. 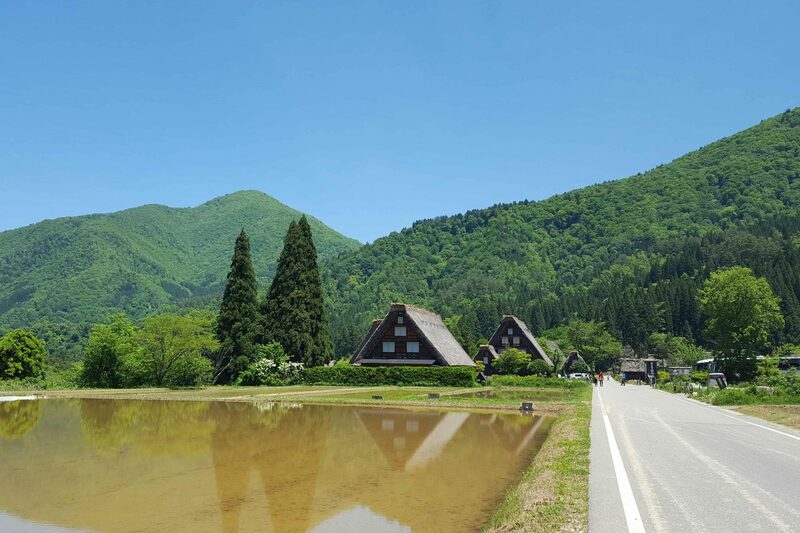 (Some services are on a reservation basis) After sightseeing around Shirakawago, you can go to Kanazawa, Toyama or Takaoka (by Kaetsunou Bus) by bus. 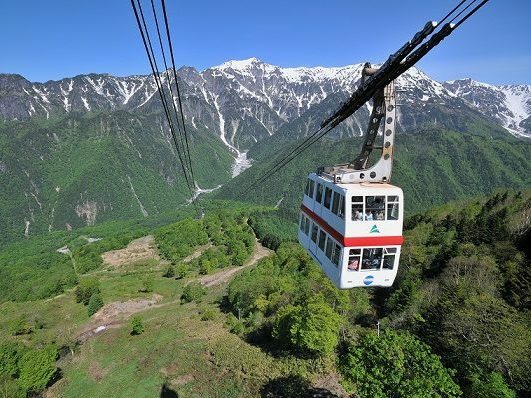 These bus routes are popular as a sightseeing tour route connecting Takayama and Shirakawago as well as Shirakawago and Hokuriku. Gassho style houses in Shirakawago are residences built from wooden beams that express their characteristic; steep slope and thatched roofs, which are combined into a triangular shape as if hands meet in prayer. The gradient of thatched roof is about 45 - 60 degrees, designed for the severe natural environment of Shirakawa-mura where lots of heavy snow falls. The wisdom and ingenuity of people are seen in how the houses were constructed. Each house is constructed in the same direction facing north and south, considering the predominant wind direction to minimize wind resistance, while controlling the amount of sunlight hitting the roof to provide cool summers and warmer winters. 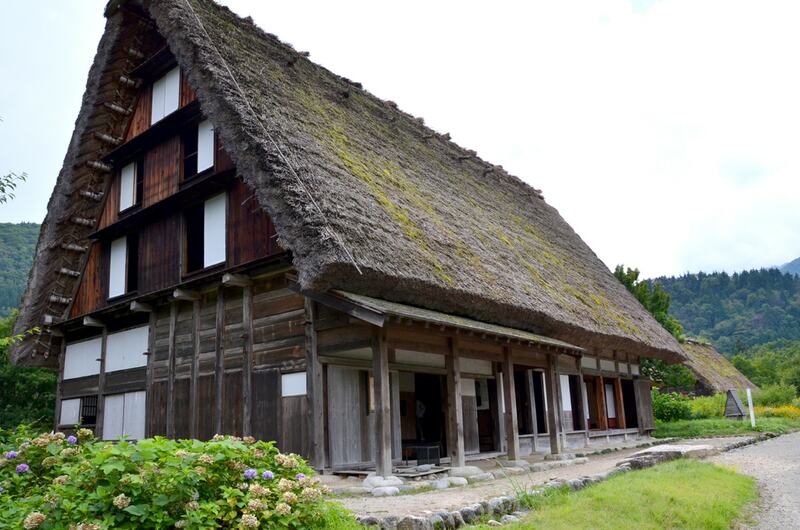 Wada-ke house is one of the largest gassho style houses in the Ogi-machi gassho village. Wada-ke took the role of village headman (guard house official) and flourished in the trading of gunpowder which was the important cash income for Shirakawago in the Edo Era. 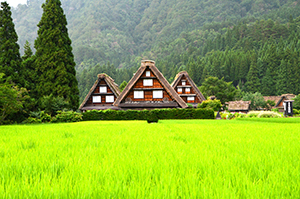 Wada-ke has been designated as a national important cultural property with a well-maintained neighboring environment, including gardens, hedges, surrounding arable lands or channels. This Wada-ke house is still used as a place to live and the 1st and 2nd floors are open to the public. It took about ten years to build Kanda-ke during the latter part of the Edo Era by carpenters specialized in temples or shrines, who were invited from Ishikawa Prefecture. It is known as an improved/high-quality gassho style house as it was built with new technologies while inheriting the traditional gassho style structure. Kanda-ke's gassho style house has 4 floors, where you can see the tools used for silk cultivation in those days. 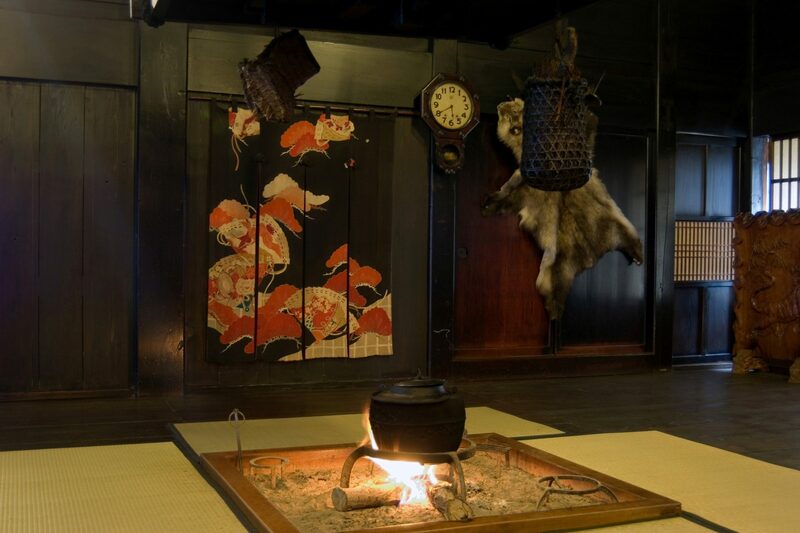 There is an irori fireplace (open hearth) on the 1st floor that is still used, and herb tea made from boiling water from the irori is served to the tourists. Nagase-ke is a family with a long history whose 1st - 3rd family heads took the roll of Chinese medicine doctor for the Kaga Domain and their gassho style house is relatively new, built in 1890 with 5 floors. A majestic Buddhist altar (it is said that this was made more than 500 years ago) and Kaga culture fine arts and crafts are exhibited on the 1st floor. 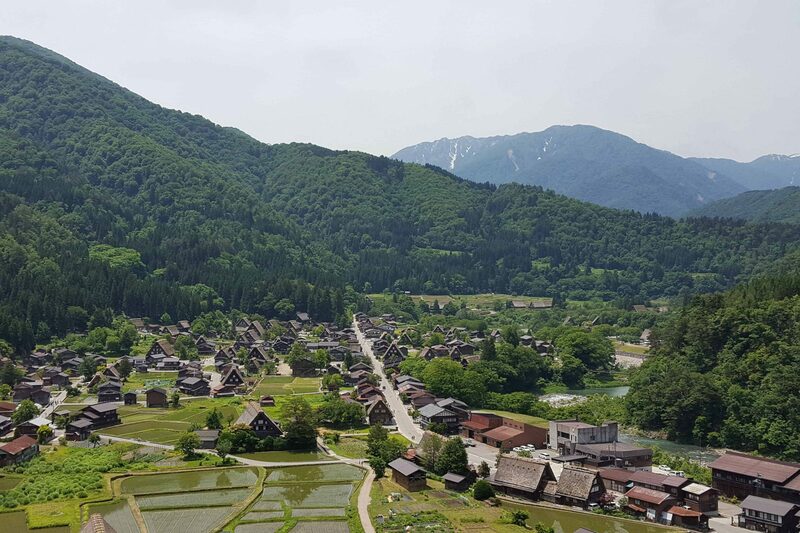 The castle tower observation deck is located on a northwest hill of Ogi-machi and you can enjoy a panoramic view of Shirakawago gassho village from there. The perspective from here is often used in posters. You may feel as if you are in a fairy-tale as the gassho style village in Ogi-machi is colored with the nature of each season. A charged shuttle bus is available from Shirakawago gassho village to the castle tower observation deck. 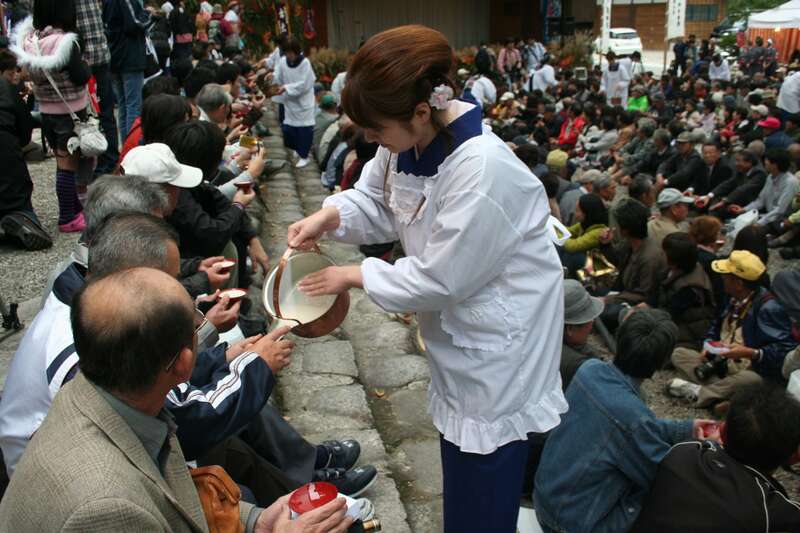 "Doburoku festival" is held in Shirakawa-mura in autumn every year. In Doburoku Festival museum, the festival's brief overview, history and religious services are re-created using dolls and models. 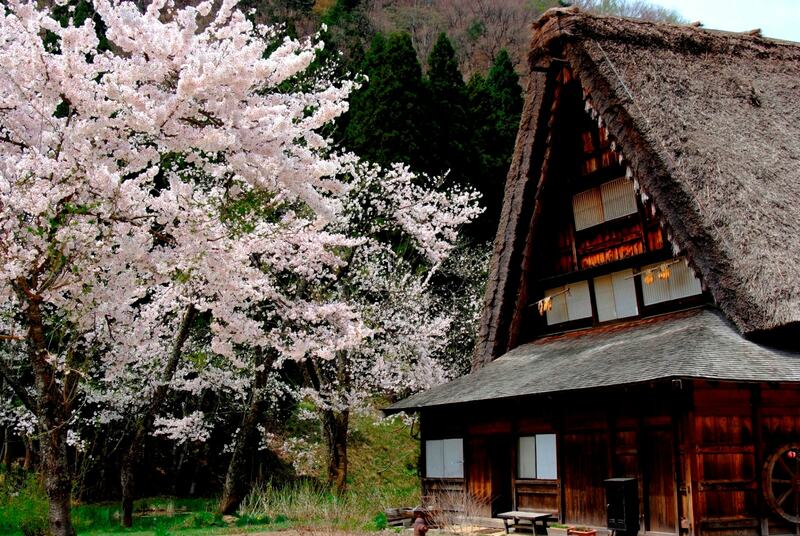 It is located in Shirakawa Hachiman-Jinja Shrine precinct inside Shirakawago gassho village. 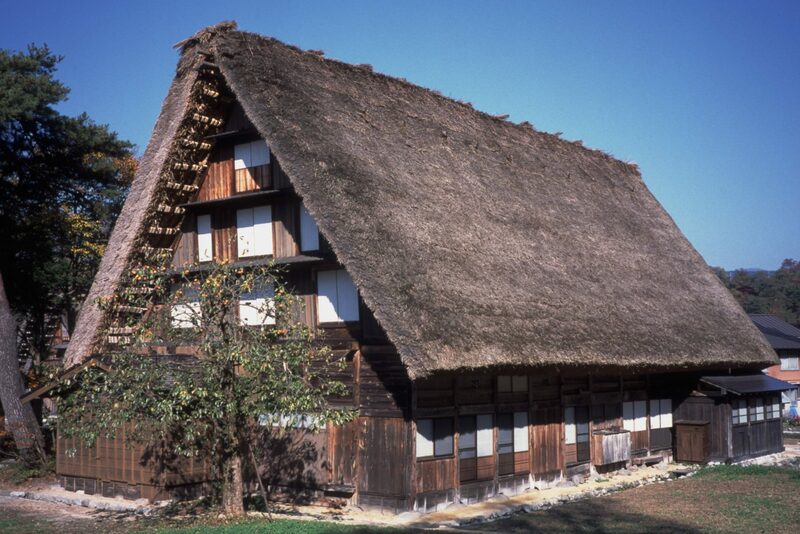 Tajima-ke is the only pavilion in Shirakawa-mura which features silk cultivation. History of silk cultivation is introduced with panels, and the tools used for silk cultivation are also displayed. Silk worms are actually bred, and you can touch a living silk worm. 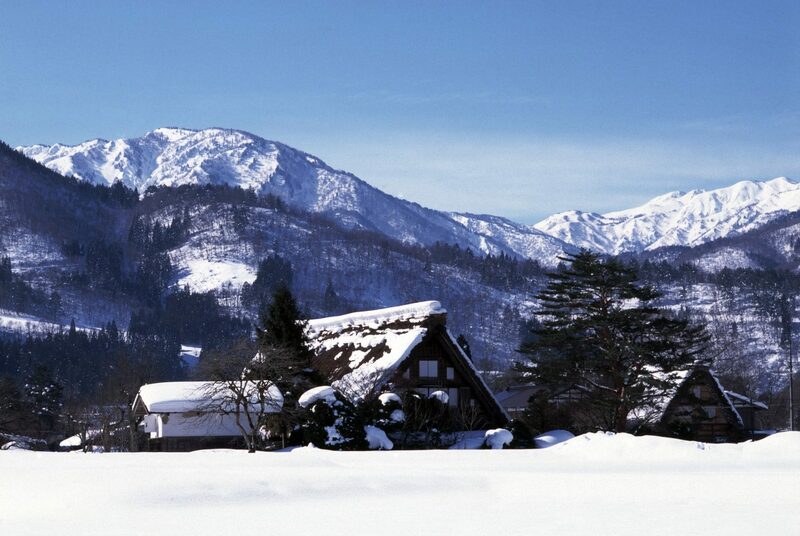 It is located at the south end of Ogi-machi village, and is one of the representative sceneries of Shirakawago used for tourism posters that attract many photographers with its picturesque landscape, such as its figure reflected on the water-laden paddy or gassho style house covered by pure white snow. You can have lunch inside the gassho style houses, from a simple rustic menu available only in a mountain village using locally grown edible wild plants to posh Hida beef dishes. Check the open hours before your visit because most dining only provide lunch meals and are open for limited hours of a day. Shirakawa-mura has accommodation facilities of the gassho style houses built 200 years ago and guest houses with homey atmosphere which relieve the weariness of travelers. In Hirase, which is about 20 minutes by Nohi Bus from Shirakawago Bus Terminal, there is "Hirase Hot Spring" of the hot spring at the foot of Mt. Hakusan. It is known as being close to the world heritage site and its skin-beautifying effect.